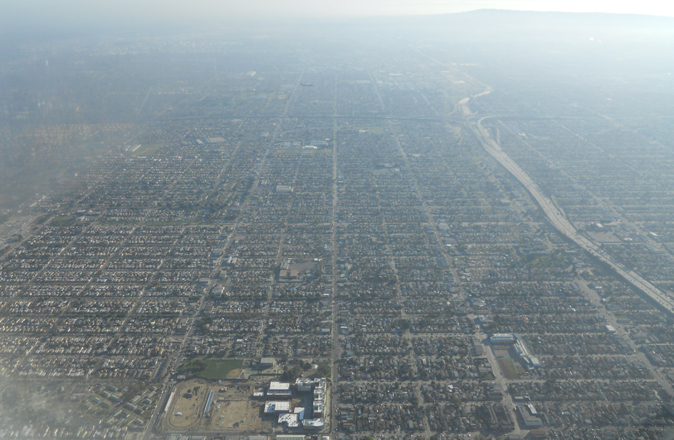 What will happen when an entire city or county will have to take care of themselves? 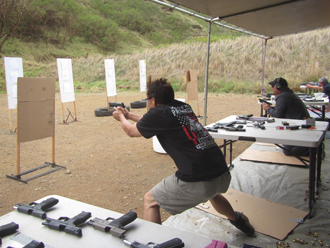 Now is the time to learn and build up accelerated ability in defensive firearm usage. - what's next takes much more time and requires a serious commitment! 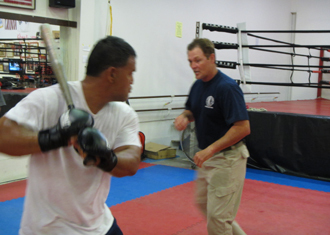 Physical exertion and combatives training is vital, especially if unarmed! Merely owning many firearms will not save you and loved ones. 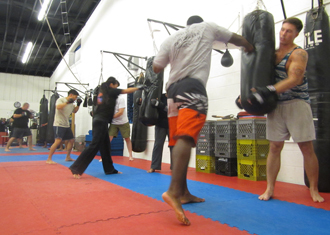 Physical ability will be crucial. Firearm retention/controllability/portability is unequalled for handguns versus rifles or shotguns. Ideal balance of power, controllability and availability anywhere in the country or around the world. Respectable power and capacity when kept in perspective. 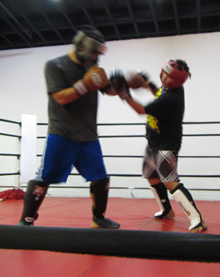 Shoot the threat and make hits count. Peripheral hit with larger caliber is still a peripheral hit. Ventilate vitals and body functions will fail. 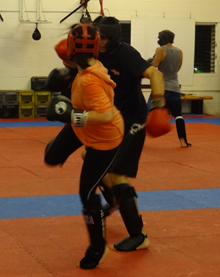 Awkward position/attitude of body: difficult and much slower to keep revolver up and running. Loading/reloading revolvers is gravity dependent, requires smooth ability most never achieve. Upside down, one handed? 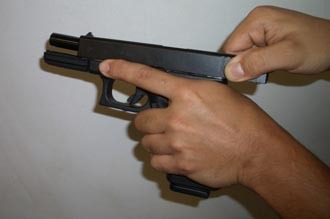 Semiauto pistol much easier: insert mag, run slide. Gun is loaded. Proven track record. Insert mag, run slide. Gun is loaded. Reload? Remove mag, insert mag, run slide. No control levers to lower hammer; no external hammer. 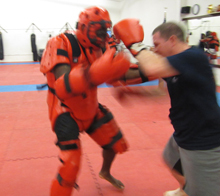 No manual safeties to engage or disengage. 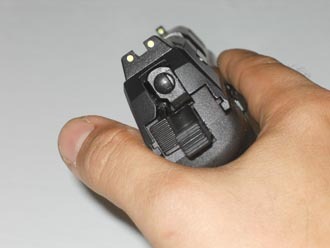 No two different trigger pull distances or weights, no sharp edges or protrusions anywhere on gun. 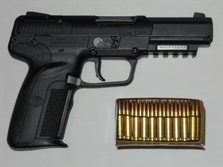 .223 or 5.56mm ammunition is common and controllable in firing for majority of shooters. 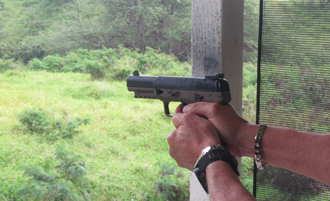 Hollow point (HP) or soft point (SP) bullets make best sense in a variety of surroundings. Due to high velocity they flatten, break apart and slow down faster than handgun calibers. Appropriate HP or SP rifle cartridges disrupts what needs to be disrupted very efficiently. 7.62x39 borders on excessive energy, requiring HP/SP usage in populated surroundings. .308cal (7.62x51) has tremendous power; using .308 in populated areas is irresponsible. Majority of .308 - too excessive recoil management/muzzle blast/overpenetration energy. Your valuable rifle will not operate properly or be of much use without mags and ammunition! Don't procrastinate on securing these items and spare parts for repair; yours or others' guns! Spare parts, mags, ammo are incredibly important and will be top currency in extreme crisis. and easily learned, intuitive system. Very consistent shooting chararcteristics, easy to work on. the most sensible and capable semiauto rifle in the world. Parts interchange easily among brands. Original design evolved quickly to flattop receiver that allows easy optic enhancement additions. 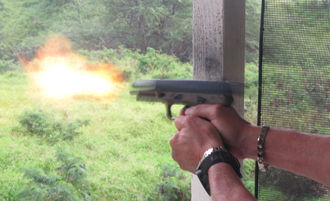 shooting consistency even if paying for higher priced/'better loaded' ammunition for any AK. tough for many who are of lesser upper body strength and truthfully weren't comfortable with guns. Shotgun's power/controllability/system weight/system length/capacity is not in balance at all. 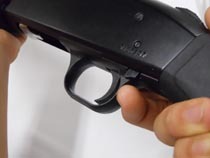 Any awkward position/attitude of body = extreme difficulties keeping a shotgun up and running. On ground, upside down, one handed? 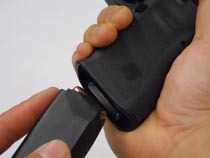 Far tougher to load or top off vs semiauto mag-fed rifle. requires more strength and well-rehearsed ability than lighter, quicker pistol or semiauto rifle. 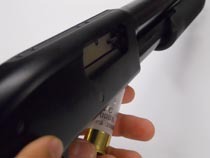 If insisted, pump shotguns are simpler to operate and are less costly than semiauto shotguns. Controls: Safety is top rear of receiver. 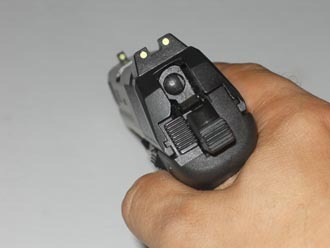 Right or left handed, firing hand thumb accesses safety. 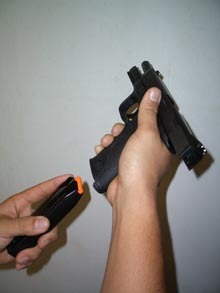 Action Bar Release rear trigger guard. 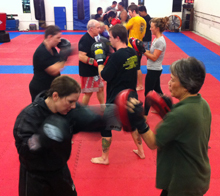 Right/left handed, firing hand middle accesses release. 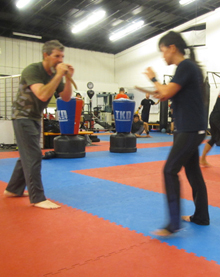 Sadly, too many shooters never train themselves to be fluidly capable both left and right side. 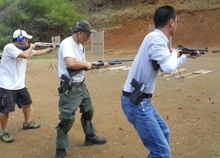 requires much more genuine training than what's accepted by the majority of firearm owners. 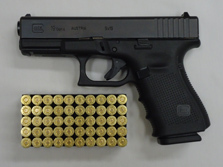 yet for $1,400 retail it may be better to get two 9mm handguns: Glock 19 and G17 both for $1,200! 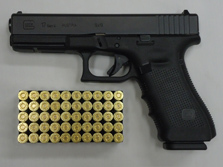 Glocks are simpler, have 30+ year successful track record and using 9mm ammo is still a viable choice. with factory 5.7x28 ammo. Imagine what the blinding flash would be in low light or no light conditions. 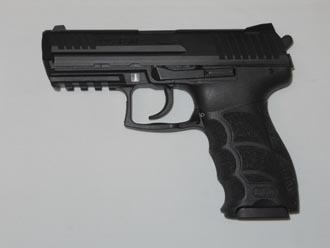 just might be the ultimate defensive handgun? 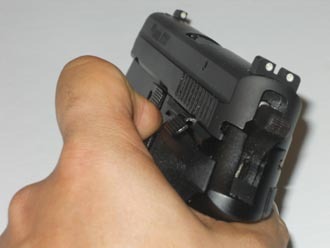 Pistol selection process should consider flash signature. 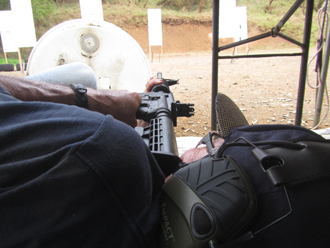 on an AR-15 (in 5.56) and a Glock (in 9mm), have easier access to the most important commodity: ammo. these may be useful or of serious necessity; just remember they are few indeed and useful range is limited. If one is on a budget, 'coolness' does not equip you and others with a versatile supply of arms, ammo, etc. 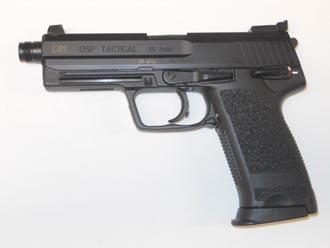 HK USP Tactical ($1,300 ret) and Kimber Tactical Entry ($1,490 ret) are both popular .45acp pistols. consider these factors: price, size, parts complexity / availability, weather / rough handling situations. They're bulky/heavy and exhibit recoil. There are other choices that are more sensible; cost efficient. 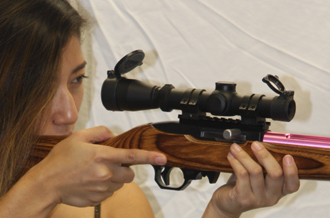 primarily for target shooting (even splurging $900) gives utmost confidence in control and shot placement. These would be better expenditures and enjoyment instead of one high recoil/high cost/large caliber pistol. 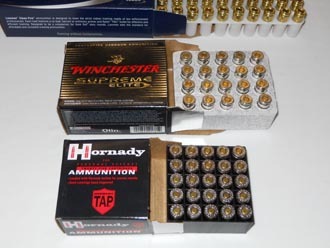 Foreground: two boxes of Hollow Point defensive ammunition: Hornady, Winchester. Back: 50rd FMJ. Hornady's smaller box contains 25 rounds, $25/box. 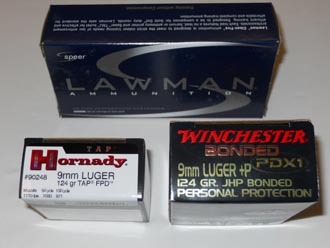 Winchester's larger box has 20 rounds, $23/box. Classic example of 'bigger not always better'. Hornady is still one of the best deals in defense ammunition. 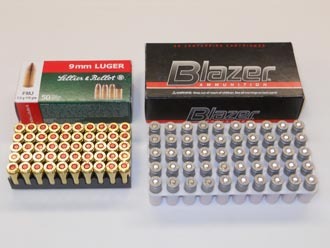 Sellier & Bellot 9mm in close-packed 50 round box exhibits the best efficiency for storage space concerns. 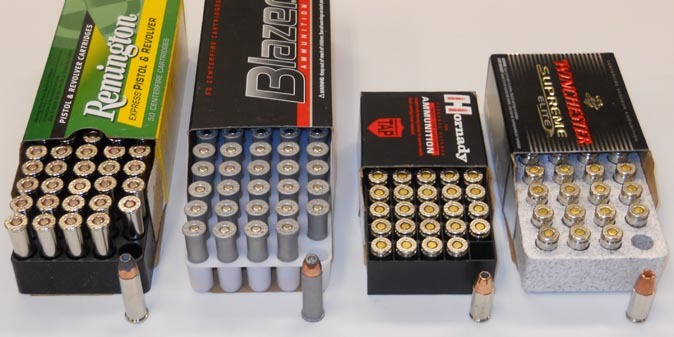 Once again, typical American thinking 'bigger is better' creates 'bigger-waste-of-space' boxes for ammo. 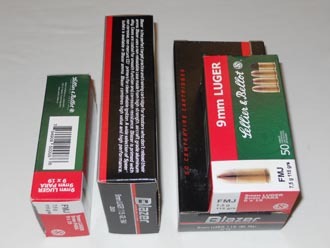 Sellier & Bellot and Blazer brands are consistent-shooting 9mm FMJ ammo at $14~$15 per 50rd box. per box for some brands of 9mm. The majority that try to save brass for reloading never get around to it. 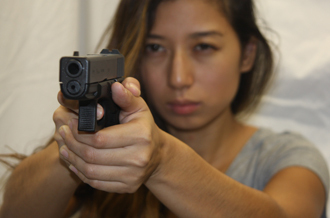 If going to a static range to fire defensive handguns, shoot with a purpose and be done within 50 rounds. and when I hand them a box or two for purchase, they proceed to open the box and stare at the bullet? Nothing screams rookie louder than that example. In the end, what does it matter how the projectile looks? 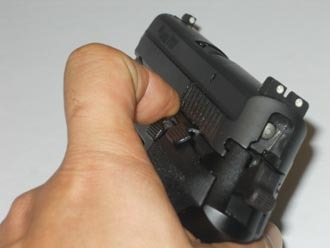 Use hollowpoints when available, hit what must be hit until threat is no longer capable of further action. Missing a shot is still a miss. In the end it simply does not matter what caliber missed or hit a vital area. Horrible yet simple truths: May need more than one shot. If chest hits don't work, send bullets into the face. and caliber won't matter at that point when considering the important and fragile anatomy in the neck area. 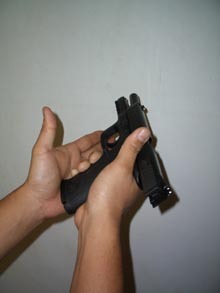 support hand thumb decisively presses down slide release, complete proper two handed grip of handgun. 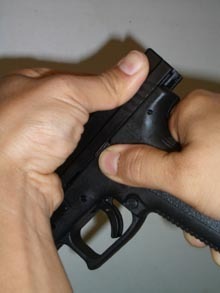 release is accomplished by support hand thumb, especially when having to deal with various pistols. with support hand thumb ending up behind slide of auto!! It may be struck by slide's cycling. it gives it a task, then take position alongside the frame, under strong hand thumb. Far less likely for the support hand thumb to end up in wrong place behind slide. movements needed to clear 'failure to feed' or 'failure to extract' malfunctions. Sig system involves decocking lever on left of frame. 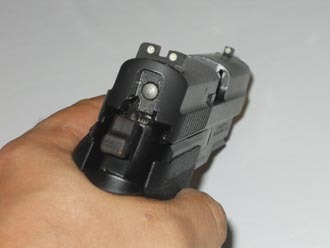 HK system involves decocking tab at rear of slide. 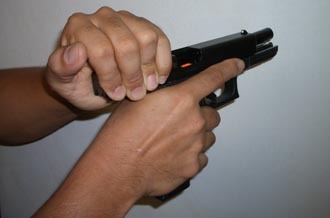 Sig: utilizing example of a left-hander, trigger finger becomes controlling factor for decocking handgun. 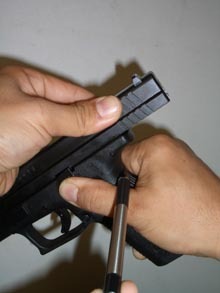 HK: As decocking tab is at rear of slide - left of hammer - it is easier for right-hander to decock hammer. 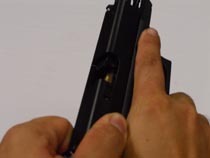 Sig: Left-handed shooter brings lever down simply by using trigger finger, pushing decocking lever down. 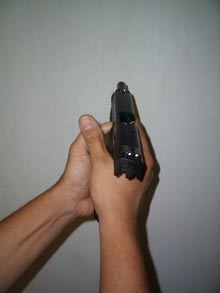 Sig: Right-handed shooter in two-handed grip would push the lever down with left (support) hand thumb. 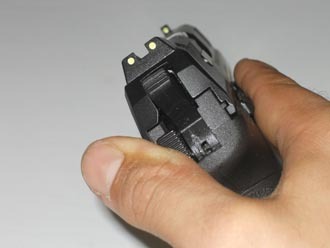 HK: Right-handed shooter thumbs the serrated tab down and hammer will lower down into hammer slot. Hammer postitions on pictures above show the Sig and HK hammers in 'down and decocked' positions. These will have traditional double action longer & heavier first shot trigger pull, then go into single action. Neither have manual selectable safeties. No defensive handgun 'needs' such items. Safety is by gun user. 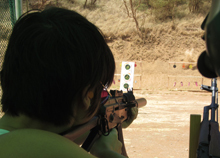 - making sure they have trigger finger discipline and muzzle direction discipline... Simpler guns are easier. 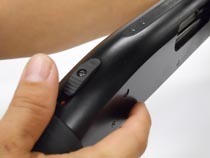 while a strong push upward on slide stop with thumb will lock slide to the rear. when locking XD slides to rear. 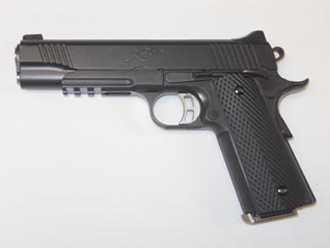 Springfield Armory claims this grip safety makes this gun 'safer'. 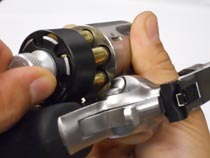 Shouldn't the operator be the ultimate answer to safe firearm handling?? 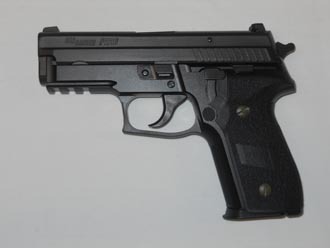 without the grip safety function, could result in inertial firing of the gun if it was dropped. 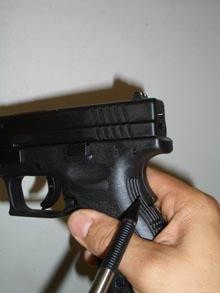 Therefore, XD pistols had to have this so-called 'safety feature'. It's a necessity, not design ingenuity.